I’ll never tire to say that simply being in Shibuya is an experience in itself. There is no a shortage of things that you can do in this Tokyo ward that is dubbed as the youth’s capital. Shibuya also houses the Takeshita street, famous for the youth fashion that encapsulate a broad range of sub-culture and styles. It’s famous as a symbol of the Japanese fashion. While shopping for unique clothes and fashion items is an obvious thing to do in Shibuya, there are actually numerous things you can do in this Tokyo’s highly fashionable district. Being in such a large ever-crowded space can feel overwhelming. But during your travels, it can be such a novel experience. The crowd in Shibuya has always been a favorite of many photographers. A point of interest would be the Shibuya crossing. You’ve probably seen millions of pictures of that crossing alone. Taken in all of the seasons, at any time of the day. 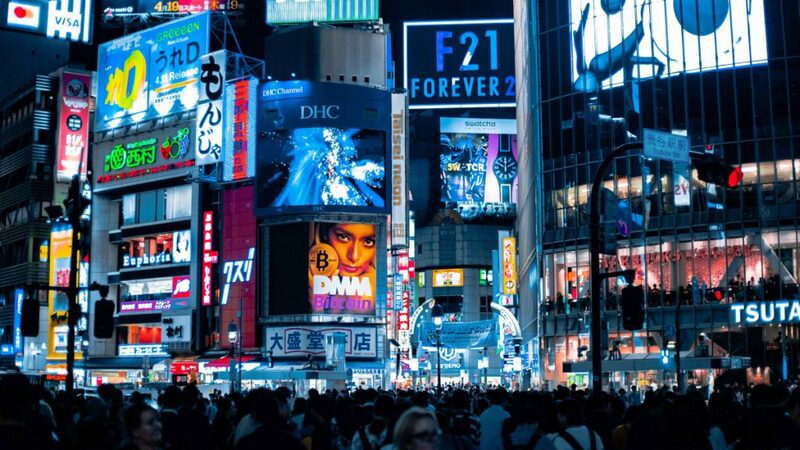 Blogging and taking pictures in Shibuya would definitely get you some Instagram-worthy shots. Take a break from the liveliness of the ever-buzzing crowd in Shibuya by strolling around in its park. Yoyogi park is fortunately free of entrance fee. You can enjoy the park the whole day and it’s open 24 hours. Yoyogi Koen can be reached by 5 minutes walk from the Harajuku (Meiji-jingumae) Station on the JR Line. The Meiji Shrine is also right next on the park. You can enjoy strolling, jogging, and even picnic and hanami (flower-seeing commonly done in Sakura season). The most famous shrine in Shibuya in which the Shibuya station is named after. Located within the northern part of the shrine is the Meiji shrine treasure house. The treasure house showcased personal items of the Emperor Meiji, the first emperor of modern Japan who ascended throne in 1867. Currently, the treasure house is closed because of renovation work to commemorate the 100th anniversary of the Meiji Shrine until October 2019. However, visitors are still able to go to visit the shrine. This statue is a popular meeting spot for both locals and foreigners alike. It stood as a reminder of a tear-jerking story between Professor Ueno, Hachiko’s owner who brought Hachiko from Akita Prefecture to work in Tokyo. A lot of people take pictures daily in this meeting spot. Touring to a television broadcasting studio may not cross your mind when you’re traveling. But it’s one of the fun things you can do in Shibuya, where the broadcasting station has a theme park inside. The entrance fee is very cheap, only 200 JPY (less than 2 USD). There are a number of NHK character mascots happy to greet you. Here’s their official website. There are animation factory, creative lab, as well as studio park news. All of which can let you experience the fun in producing tv shows and news. It’s a good place to visit for both adults and kids.